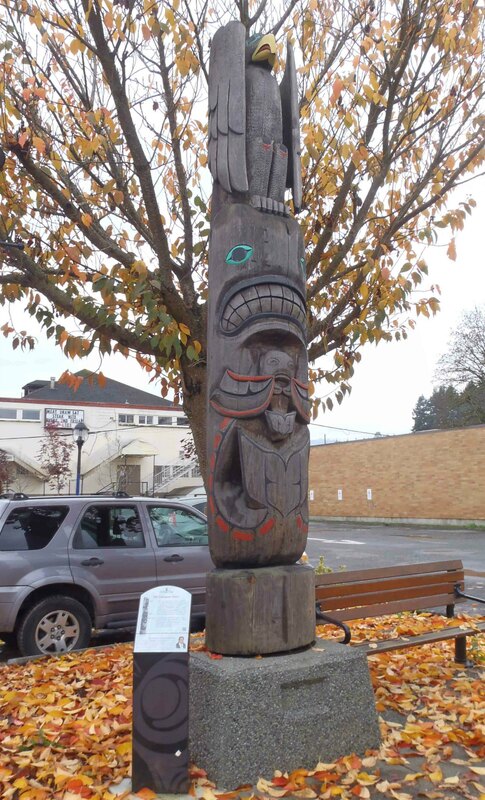 The Tzinquaw Story pole was carved in 1986 by Harvey Alphonse and Kelly Antoine. 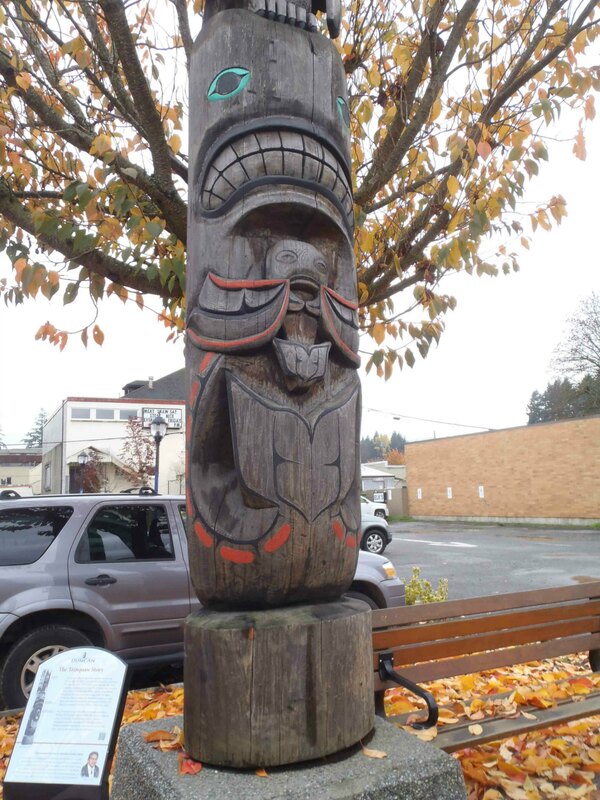 It is 4.6m (15’1″) in height and stands on Kenneth Street between Craig Street and Jubilee Street. 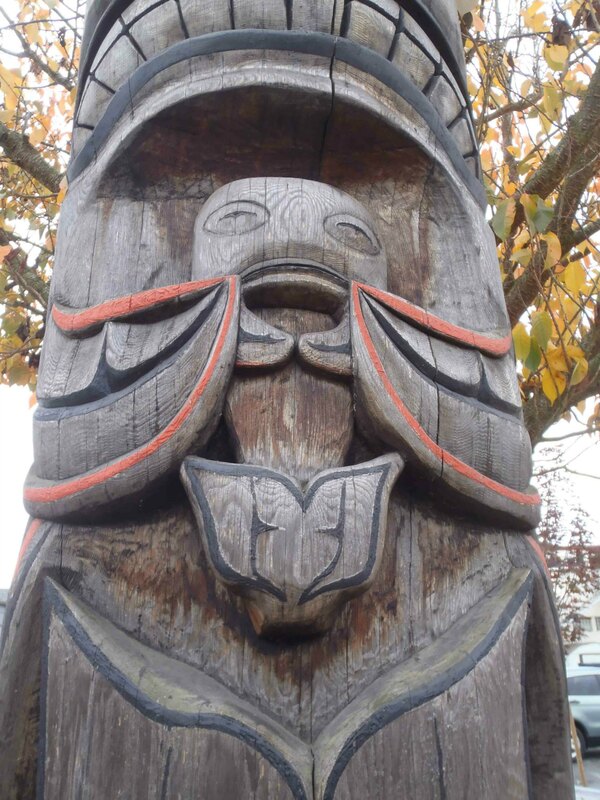 Tzinquaw Story totem pole, Killer Whale and Salmon figures, Kenneth Street, Duncan, B.C. 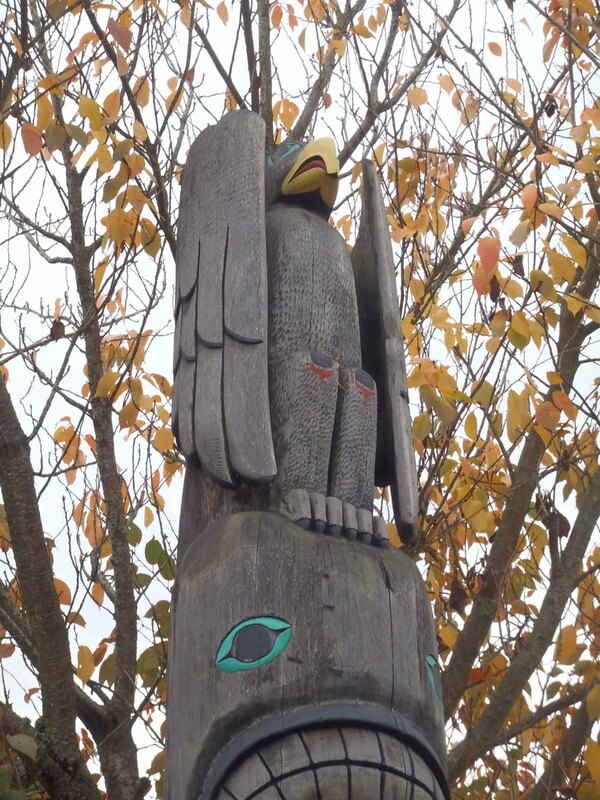 Tzinquaw Story totem pole, Salmon figure, Kenneth Street, Duncan, B.C. 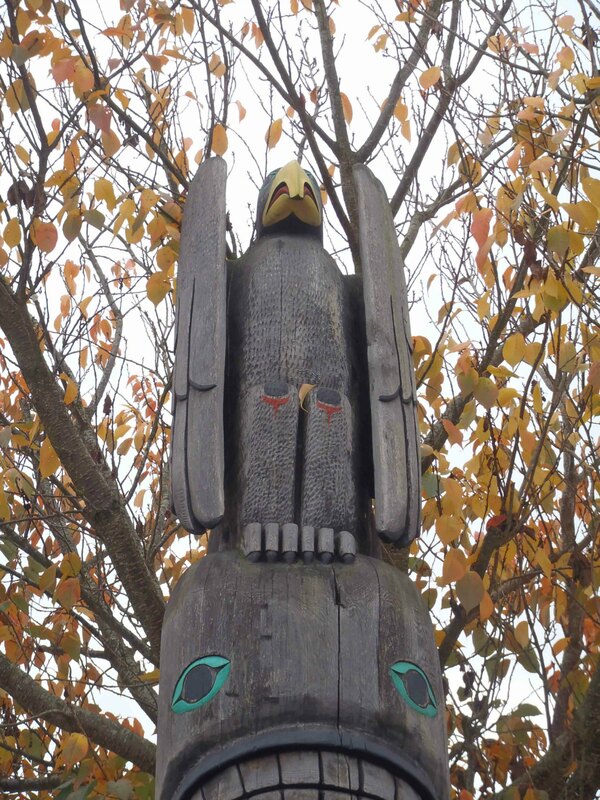 Tzinquaw Story totem pole, Thunderbird figure, Kenneth Street, Duncan, B.C.